Though it is only 32 square miles in size, St. Thomas island in the Caribbean has a million miles of things to do. Go shopping and sailing, snorkeling and sightseeing, or diving and dining. Enjoy the islands world-renowned golf course, picture perfect beaches and spectacular nightlife. St Thomas has plenty of things to for everyone. 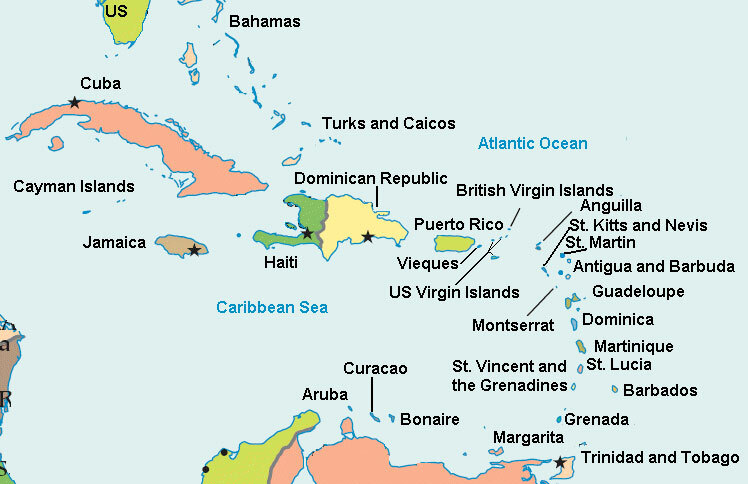 St. Thomas is home to the capital of the U.S. Virgin Islands. Charlotte Amalie has been the heart of St. Thomas’ activities from colonial times to present, that is home to almost half of the islands 51,000+ residents. Other residents live on the East End, West End and North Side where there are many wonderful St Thomas villa rentals. St. Thomas is largely mountainous. Many roads around the island offer terrific panoramic views of the island and ocean. Amongst the hills on St. Thomas and along the beaches you will find an assortment of St. Thomas villas. Staying in a villa on St. Thomas is a perfect way to enjoy your vacation; a home away from home! One of the benefits of staying in a St. Thomas villa is having a full kitchen. You can pick up snacks, your favorite drinks and you can eat in. Or a villa provisioning company can prepare a welcome basket, stock your refrigerator and even get you started with your first night’s dinner! Enjoying the magnificent waters around St. Thomas will be the highlight of your vacation. Sail or motor into small quiet coves, snorkel at beautiful reefs and just bask in the delightfully warm sun and tropical breezes. Or take a sunset sail and enjoy the tranquil beauty and romance of Caribbean evenings. While visiting St. Thomas you can take sailing classes that give you the know how to sail a 20 foot sailboat and larger boats with more advanced classes. You can even do an excursion where you actively participate on a racing yacht as you and your team head toward a finish line – how exhilarating! From your St. Thomas villa, you are surrounded by the sparkling blue ocean of the U.S. and British Virgin Islands that lend themselves easily to getting around and island hopping by boat! Water taxis in the Virgin Islands offer private, personalized transportation between the islands on your own schedule. Easily accessible from your villa in St. Thomas is the island's most popular sandy hangout, Magens Bay. In addition to having this superstar beach in its lineup, the north side is also home to the highest point on the island, Crown Mountain. The curvaceous roads that wind around the mountains provide stunning views of the area's green peaks and the surrounding sapphire seas. Relax on the beach in the morning, explore the well renowned duty free shopping in the afternoon and have a romantic dinner at your St. Thomas villa. You will enjoy all the many amenities of St. Thomas, and the U.S. Virgin Islands.